We use the FDA approved Closed System. While using this system, there is no smell or sounds (gas releasing from the body). You are able to see matter (stool, gas, mucus, etc.) leave the body through a viewing tube. 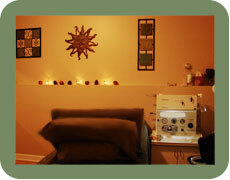 You are completely covered during the entire procedure, resting comfortably on the massage table. 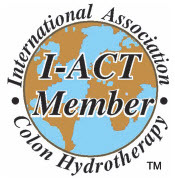 It is important that the therapist helps each individual maintain the utmost dignity during the session. We also stay with you in the room during the entire session as it is very important to us that you are comfortable and stay in constant communication. Through the whole process you are lying comfortably on your back with a pillow or a bolster under your knees and a warm blanket over you. It is important that you feel at ease and relaxed. We do our best to make that happen for you. This is your time and what is discussed stays within our four walls as we know this is very personal and private. As our body is connected to our emotions, many clients come to the understanding that this can be a very emotional experience. The procedures administered at North Shore Colonics by Lori Hirshman are non-medical procedures. They are not intended to be a treatment, prescription or therapeutic or corrective measure for human ailments, symptoms or conditions of any kind. Only your licensed physician can provide medical treatments. This business does not engage in diagnosis, prescription or treatment of physical or mental human ailments or conditions of any kind. Any medical complaints or requests for diagnosis, prescription or treatment of human ailments should be referred to your licensed physician.